Very comfortable single-family house "Ard na Mara". 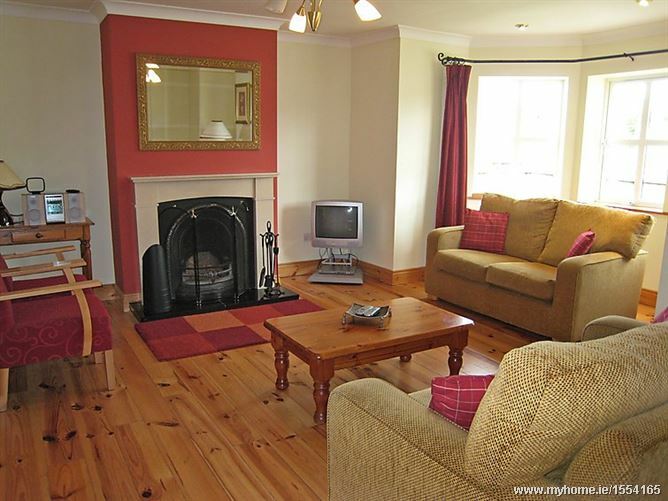 On the outskirts, 500 m from the centre of Dingle, in a quiet, sunny position, 500 m from the sea. Parking at the house. Shop, grocery, restaurant, bar 500 m. Golf course (18 hole) 16 km. Please note: baby equipment on request (included). 4-room house. Comfortable and tasteful furnishings: living room with open-hearth fireplace, TV and hi-fi system. 1 double bedroom with 2 beds. 1 double bedroom with shower/WC. Large kitchen (4 hot plates, oven, dishwasher, microwave) with dining table. Exit to the garden. Bath/WC. Electric heating. Upper floor: 1 large room with 1 french bed and bath/shower/WC. Garden. Terrace furniture. Facilities: washing machine, dryer, iron. Please note: TV only EN..